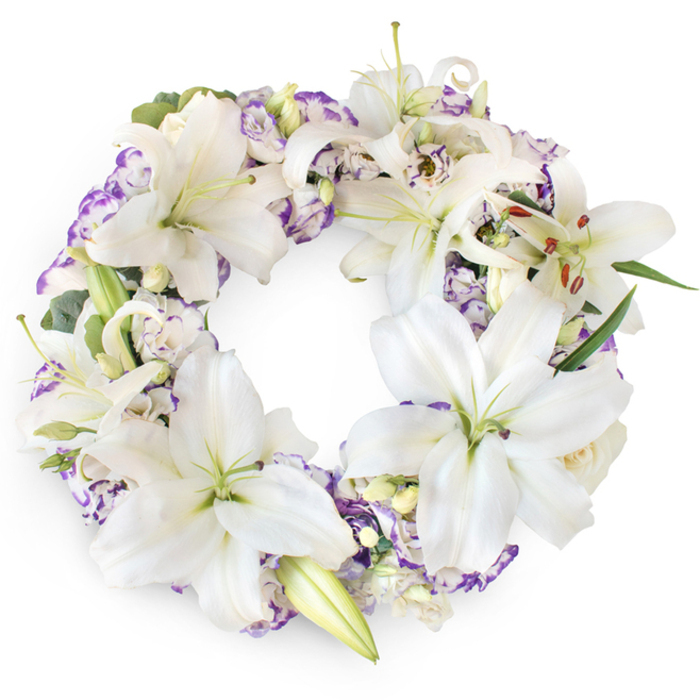 This is an unique combination of white lilium and white-purple lisianthus, perfectly arranged in the form of wreath. Choose it and send love and sympathy to this important person! 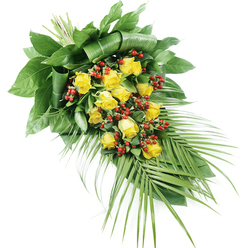 Deluxe Size contains 12 stems. My stepsister ordered these flowers on her terms and she surprised all of us with this honorable wreath. They arranged the most beautiful flowers for my uncle's funeral. 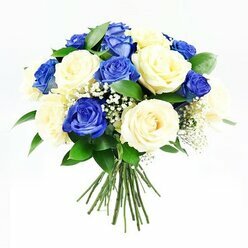 The most reliable florist I've used so far. Thanks a lot for everything you did for my family. 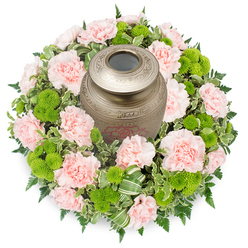 My family ordered several funeral flower arrangements from this company and all were delivered on time in a perfect condition. Huge thank you. Flawless service from start to finish. 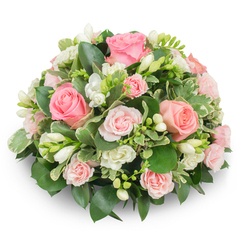 Delivered all the funeral flowers with a timely delivery. Much appreciated. 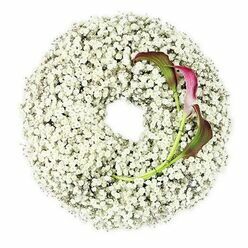 What a lovely wreath! I'm extremely thankful! The funeral wreath was really beautiful! 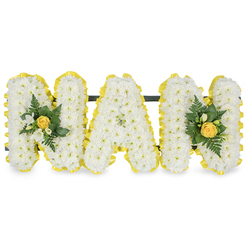 I was amazed when I saw the flowers I ordered for my Aunt Becca's funeral. They were just what I wanted.